Brighten their day with this impressive taste sensation! This handsome walnut stained wicker & rope basket is fabric lined and tied with an exclusive satin ribbon. 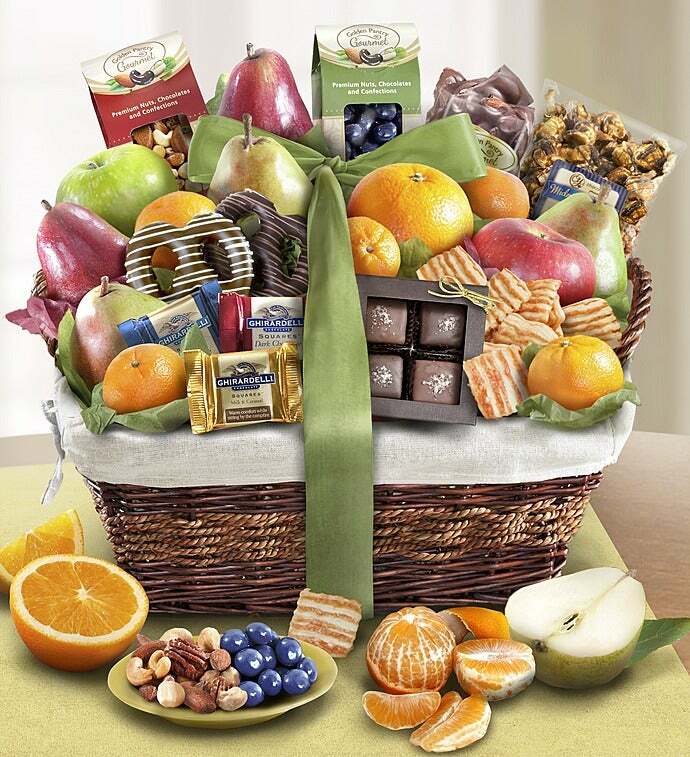 It is brimming with six types of fresh fruit, nuts, snacks, chocolate and other candies. This is a gift they will truly appreciate and remember you for!